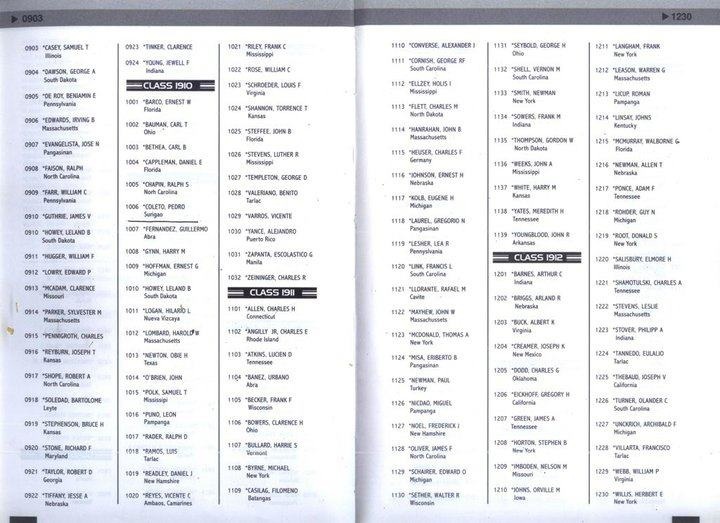 Municipal Civil Registrar record shows of Domingo Alas. Domingo died at the age of 101 years old on July 27, 1933 due to Senility or Dementia. A record from the Municipal Civil Registrar of Cantilan shows Francisca Guimary (highlighted), single, from the present Sitio Poypog died on June 17, 1929 at the age of 120. While Benita Realingo, widow, from Poblacion, Cantilan died on June 21, 1929, age 115. Both died due to Senility or Dementia. If verified, Francisca and Benita could be among the World's top 10 oldest person to have ever lived. Simeon 'Simon' Cedro was said to be a classmate of Dr. Jose Rizal in Ateneo de Manila. Cedro was appointed as Justice of the Peace for Cantilan in 1909. Leopoldo D. Yau. Born in Cantilan on August 15, 1940. He was an Intel fellow. 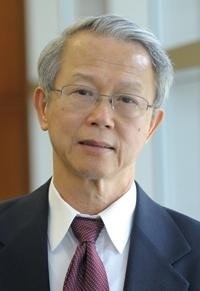 Leo invented more than 20 US-patented inventions mostly for Intel Corporation, the world's largest semiconductor chip maker. Acreenshot of BGen.Charles Hotchkiss (ret) being interviewed for his role in EDSA 1 by the Inquirer. The interview was part of the documentary in connection to the 20th anniversary of EDSA 1. Hotchkiss was among the unsung hero of the said event. Dr. Veriano Cortez Arreza, a Surgeon from Cantilan, volunteered and was sent to Vietnam as part of the OPERATION BROTHERHOOD during the Vietnam war. -(EVE). Pvt. 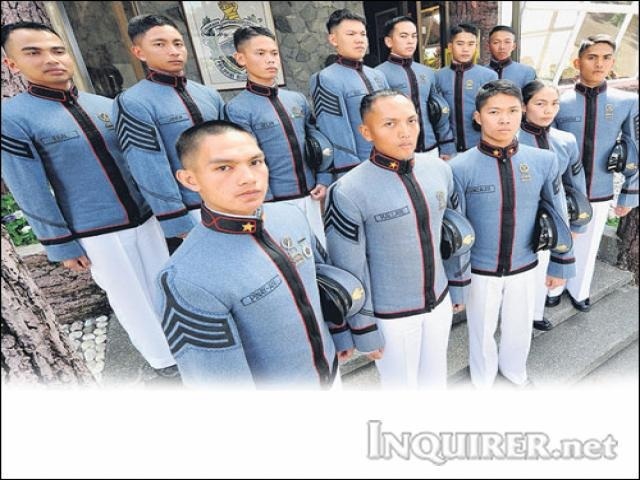 Pedro Miranda of Cantilan was assigned to the 20th Battalion Combat Team (BCT) of the Philippine Army. 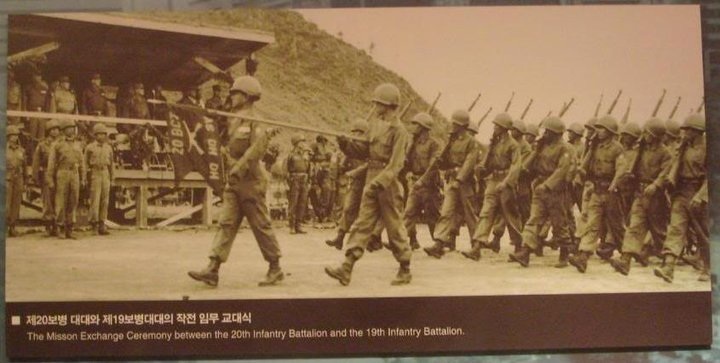 His battalion was sent to Korea during the Korean war under the United Nations Command to replace the 10th BCT as shown in the picture. Enlistment and Separation record of Pfc.Wenefrido Crabajales in the US Army. 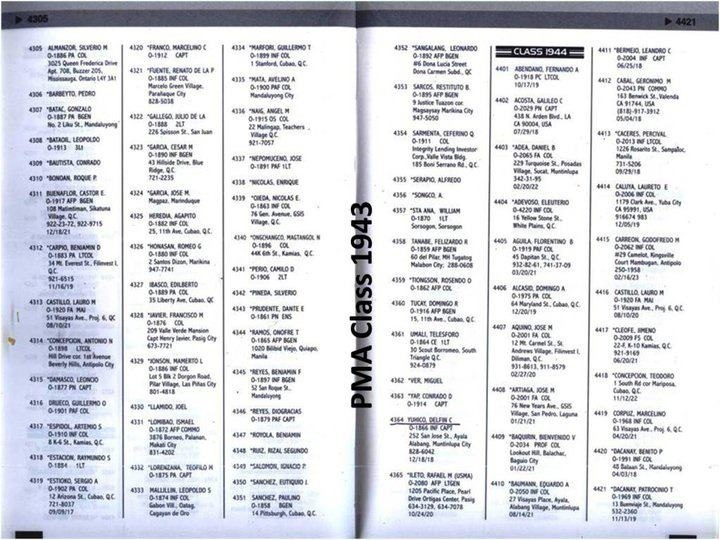 He was part of Allied Occupational Forces to arrive in Japan until 1949. He received a WW II Victory Medal, Philippine Independence Ribbon and the Army of Occupation Medal with Japan clasp. 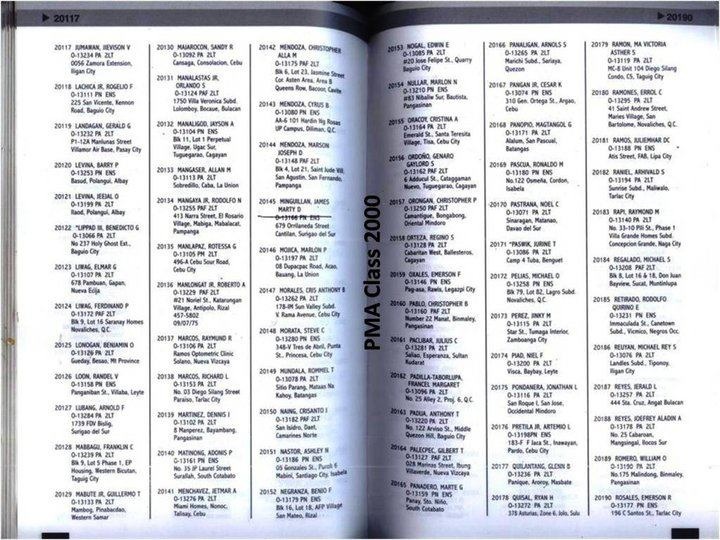 PMA Masidlak Class of 2010: Top 10 PMA grads includes ALFONSO MAGNO IRIBERRI. Capt. Audrey Iriberri graduated in the USMA West Point in 2005. 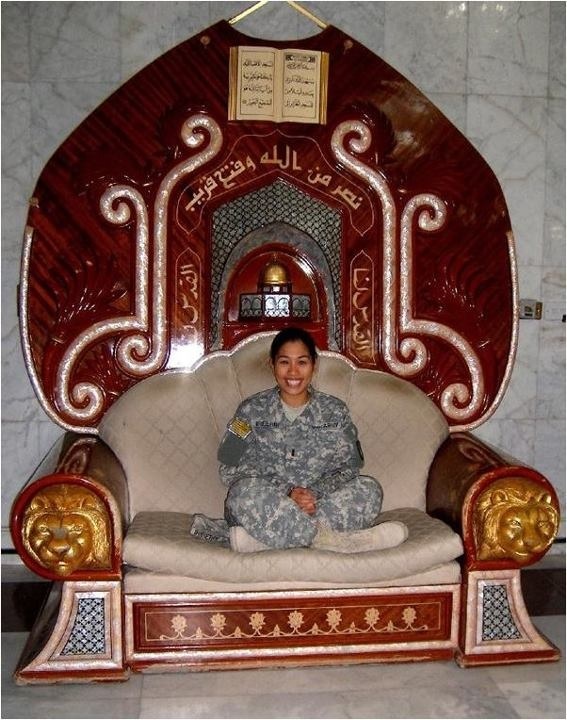 In 2008, she became the Logistics Training Advisor to Iraqi Army Units in Baghdad under 1st Sustainment Brigade. 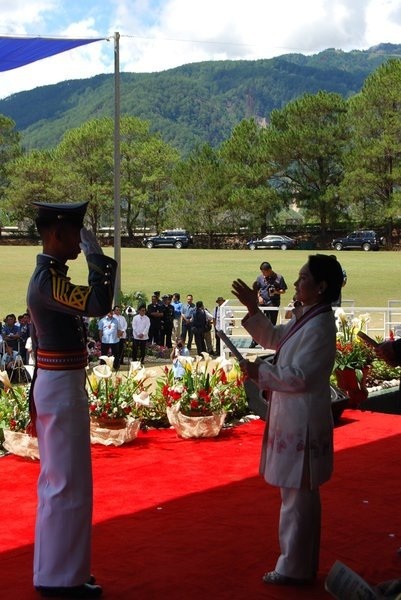 She is currently the Civil Affairs Officer of 95th Civil Affairs Brigade. This North American Aviation T-28A Trojan also known as Tora-Tora was used by 1Lt.Charles Y Hotchkiss during his service in the Air Force. 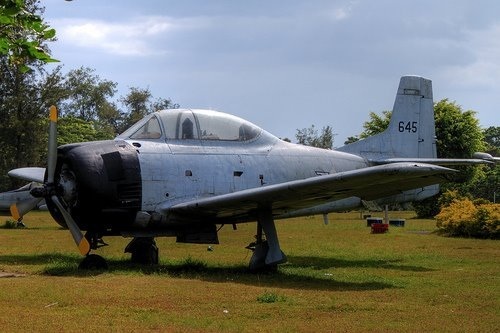 The Tora-tora with tail number 645 was among the 12 trainer aircraft that was commissioned in the Philippine Air force from the US Air Force. District Commander Al Plaza Jr. poses with their UN Staff car outside the outpost in Takeo, Takev, Cambodia. He was part of the Philippine contingent in Cambodia in 1992 under the UNTAC. Chaplain Pacifico Ortiz along with President Quezon's party was onboard a torpedo boat from Negros Island going to Mindanao. It was a narrow escape for the party when a torpedo was accidentally detached due to the rough sea and that the Captain had decided to shoot it. "We left Panubigan at 8:30 a.m. Arrived at Bais Sugar Central at 12:30 p.m., tired and sleepy. Slept a good siesta until 3 p.m. When the President sent for me. Worked decoding some telegrams. At 10:30 p.m. Left Bais Central for Dumaguete arriving at about 11:30 a.m. We waited for Soriano who had gone to Zamboanguita to meet the U.S. Navy torpedo boats. We boarded the torpedo boats at 3:30 a.m. On board were the President and his family, Vice-President Osmeña, Major Soriano, Colonel Nieto, Major Cruz, Captain Ortiz and Miss Labrador. In the hurried embarkation because the Captain of the boat was in a hurry, many members of the party left their suitcases on the dock. We started at 22 knots an hour and soon we were making 30. As we entered the open sea it became rougher and the boat at times hit the water with tremendous force. Suddenly we heard a small explosion followed by a noise of exhaust vapor and the interior of the torpedo boat became impregnated with the smell of burning gun powder. There was a commotion among the crew. Suddenly, the Captain rushed to the place where the noise came from and in a few minutes he had the trouble under control. During the commotion Soriano told the President to come out and breathe fresh air and he refused saying: “No, I want to die next to my wife and children.” When the captain came up to the command tower he told us that the connection to the torpedo had been detached due to the rough sea and it had set the torpedo for explosion. What he did was to shoot the torpedo out, loose, at a cost of $10,000.00. That was a narrow escape. Had the torpedo exploded we would have been blown to pieces." (Top Photo) PT Boats of Motor Torpedo Boat Squadron Three being prepared for deployment to the Philippines. One of this PT Boats carried Pres.Quezon party during their daring escape from Corregidor. Gov. Bernardino Almeda's proclaimation as Surigao Governor. In the local elections held on November 8, 1955, Bernardino O. Almeda won over Fernando Silvosa as provincial governor of Surigao. On November 25, 1955, the Provincial Board of Canvassers proclaimed Almeda duly elected Provincial Governor and he qualified as such on January 1, 1956. "He broke a political myth that only the rich could occupy the capitol's gubernatorial chair. Some calles his victory a "miracle", for he contested the post without a single propaganda material; handbill or streamer." - EVE. He was the Provincial Governor of the undivided province of Surigao from 1956 to 1959. On December 2, 1955, Fernando Silvosa filed an election protest Court of First Instance of Surigao contesting the election of Bernardino O. Almeda. 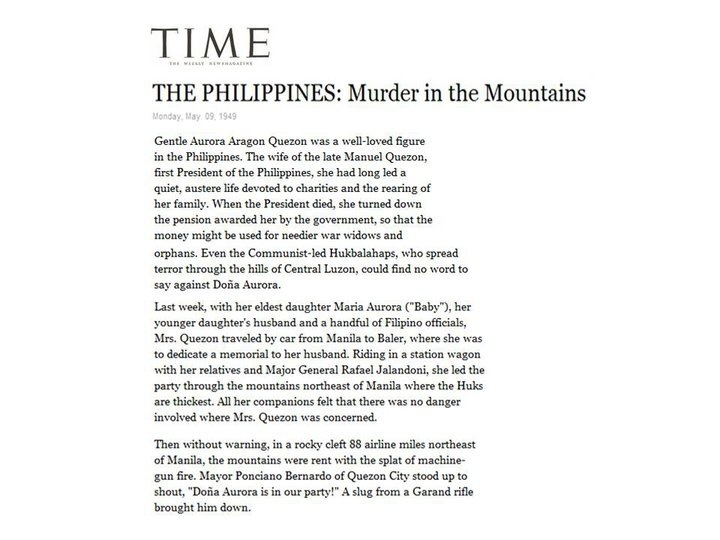 The latter answered the petition and on March 26, 1956 filed his second amended to the protest with a counter-protest. Silvosa's case against Almeda was dismissed prior to the filing of his protest which was supposedly filed with two weeks after the proclaimation of Almeda. In Brgy. San Juan in Surigao City, a street was named after the former Governor Bernardino O. Almeda along with other prominent Cantilangnons who had served in the province namely; Governor Pedro Coleto and probably Surigao Assemblyman Montano Ortiz. YOUTUBE VIDEO: Malinta Tunnel, Corregidor Island. Drag cursor to 2:50. Father Pacifico Ortiz, SJ was mentioned as his words echoed the huge cold confines of Malinta Tunnel during a midnight Christmas mass on December 24, 1941. 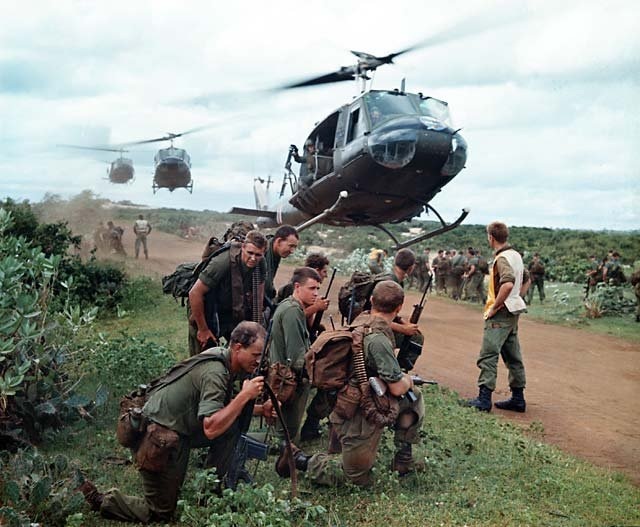 Michel Reich narrated in his book "Tempest in the Tropical Paradise": Father Ortiz offered a prayer for those who have died defending the country and those who where ready to do so. Soldiers lined up to receive the Holy Communion. 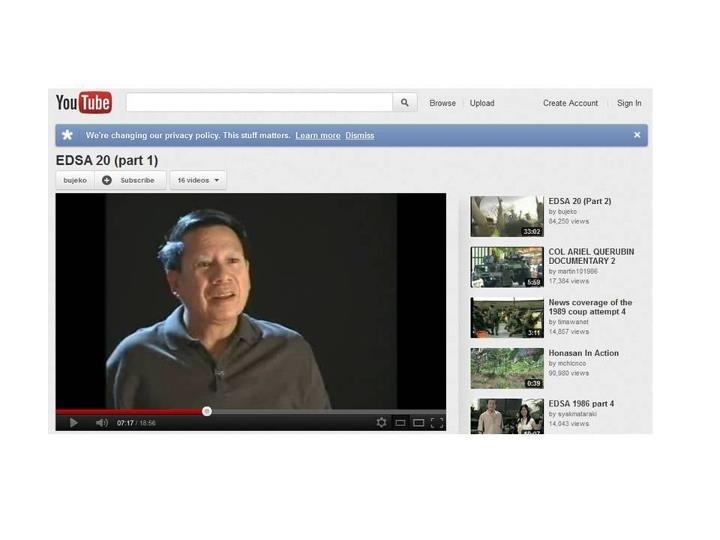 PEDRO ARREZA COLETO - Former Surigao Governor and Philippine Constabulary Commander (Surigao). August 1, 1904 - This day was official appoinment of First Sergeant Pedro Coleto as subinspector for Surigao Constabulary with an annual salary of $480. June 15, 1905 - Pedro Coleto with the rank of Subinspector was assigned for the detached Surigao Constabulary to Lanao Province. Under his command includes 20 men. 1906 - Junior Lieutenant, Subinspector Pedro Coleto was assigned in the 2nd Company of the US Army's 27th Infantry Brigade based in Zamboanga under Capt. John P. Finley. 1910 - Pedro Arreza Coleto graduated from the Philippine Constabulary academy after he was sent by the American Government and later became Surigao's provincial commander of Philippine Constabulary. January 1, 1913 - Pedro Arreza Coleto received the rank of 2nd Lieutenant of the Philippine Constabulary with an annual salary of P2,880. 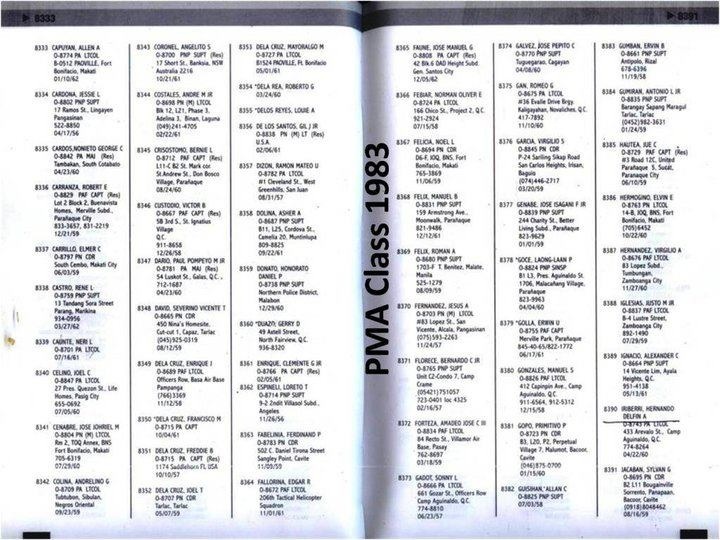 July 1, 1914 - Pedro Arreza Coleto was promoted to 1st Lieutenant with an annual salary of P3,388. 1920 - Lieutenant Pedro Coleto retired from the military and became assistant to the Surigao Governor Recaredo Gonzales. 1921 - Cantilan's Montano A. Ortiz became the provincial fiscal for Surigao and Agusan. He was Surigao's representative to the Seventh Philippine Legislature in 1926, and in 1935, he helped frame the Constitution. He retired from public service after serving as judge of the Court of First Instance of Agusan at the age of 70 0n March 26,1967. 1922 - Pedro Arreza Coleto was the first Cantilangnon to serve as a Governor of the undivided province of Surigao. June 1924 - Cantilan's Montano Ortiz was elected as Congressman and Pedro Coleto as Governor of the undivided Surigao Province both under Democrata Party. 1925 to 1935 - Judge Montano A. Ortiz served as the Representative of the lone district of Surigao del Sur from 7th to 8th Philippine Legislature. 1941 - Delfin Cortes Yuhico, a student at the Philippine Military Academy when the war broke out in 1941 became a US Army captain, and was among the few Filipinos on the staff of Gen.Douglas MacArthur in Australia during the Second World War. 1955 - Bernardino O. Almeda who became an attorney in 1936 was proclaimed Governoe after a landsline win over Fernando Silvosa. Surigao City council passed a local ordinance in 1997 naming one of its city streets after the former Provincial Governor Bernardino Almeda. 1998 - 2007 - Cantilan's Prospero Arreza Pichay served as the Representative of the 1st district of Surigao del Sur. He became the administrator of Local Water Utilities Administration. 2007 - Present - Former Congressman Prospero Pichay's brother, Philip Pichay followed his footsteps to serve the 1st district of Surigao del Sur as Congressman. Charles played for North Dakota State University Baseball team from 2003 to 2006. He is the son of Thomas Magedanz, a US Peace Corps volunteer assigned in Cantilan and Lita Luga Magedanz of Brgy. San Pedro, Cantilan. Taylor played for the Arizona Wildcats Volleyball team in 2011. The 6-2 outside hitter is the daughter of Steve Arizobal from Cantilan and Debbie Arizobal, an American. Carlos played for the Old Dominion University in the NCAA Div-1 Football. He also played for the Calgary Dinos in 2009 and 2010. He is the son of Florida Roy, a Cantilangnon native and to an Italian father. Remnants of the 1857 Cantilan Church (left) and the present Church (Background). CCMCL WWII heroes' monument in Cantilan Town Plaza. 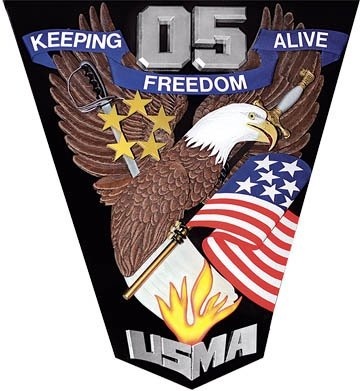 Dedicated to the CCMCL fighters who served and died during the war against the Japanese. This is the old site of the 1700's fortified town of Can Tilang. Destroyed by a tidal wave in 1850's. 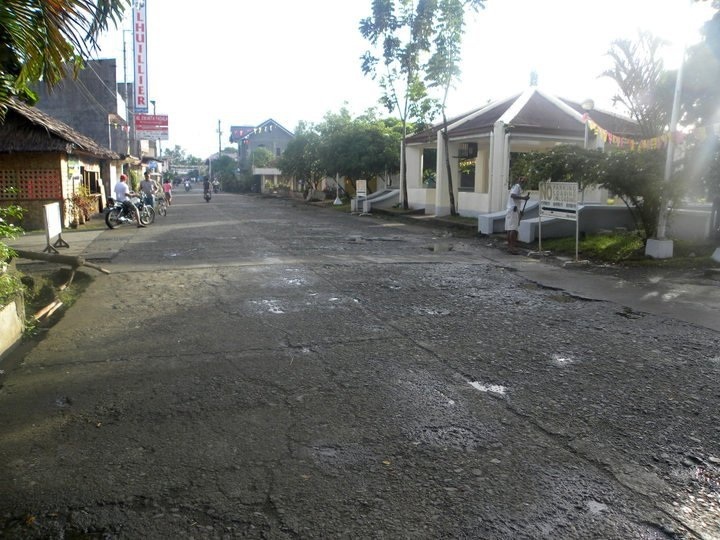 Rizal Street in Brgy.Linin-tian. (photo, right) Cantilan's mini-park beside the Commercial center. Rizal Street was the old Immaculada Concepcion street in honor of Cantilan’s patron saint. 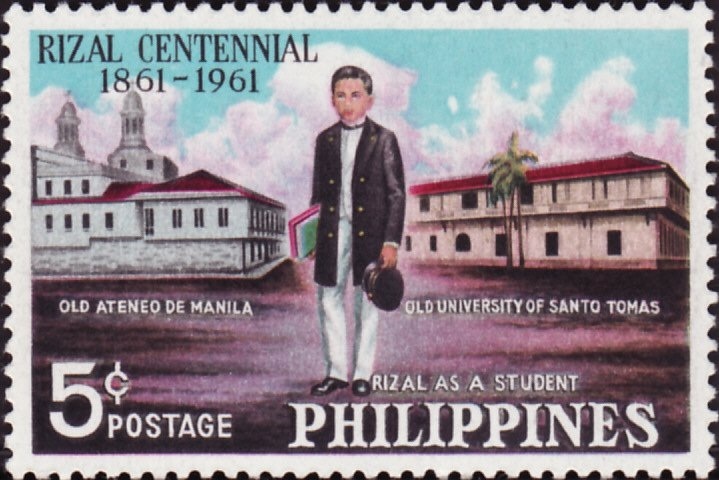 It was changed into Rizal Street in the 1920s to honor Jose Rizal, the American choice of a Filipino national hero who disfavored a bloody revolution. - "Cantilan’s (Missing) Historical Streets" by EVE. 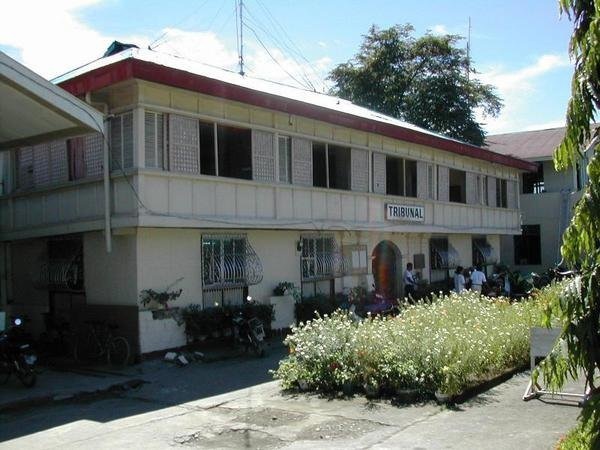 The Tribunal Building or Municipal Hall. Located in the heart of Cantilan. In front of it is the town plaza. The building was built in 1879. Fr.Modesto Marzo Y Casabana Tomb. Located on the northwest side of the town plaza. Recollect Fr. Modesto Marrzo y Casabana is the founder of modern Cantilan. He was among the survivors of the destructive typhoon in the old town. Maletangtang Cave. Located near the national road of Cantillan. It is known for its beautiful boatshape form hill and cool springs, guano filled caves and its ever fresh cool water for field trips and picnics. Malinawa Cool Spring. Located in Brgy. Parang, about 10 minutes ride from Cantilan town proper. It has a cold natural spring turned into a resort by the local government of Cantilan, Surigao del Sur, listed as a tourist attraction with cottages, shower room . Blue Lagoon Cove. Located in General Island. This cove has a bluish water with coral rocks. It is ideal for swimming, snorkeling and aquaculture. Kabitonan Stations of the Cross. Located in Sitio Bahang-Bahang in Brgy.Consuelo. Going to the place will let you pass by the station of the cross several feet from each other will lead you to the top of a mountain where a chapel is located. On top of the hill has a breathtaking view of the five towns of CarCanMadCadLan. Ayoke Island. This island can be reached by a 40-minute boat ride from the town proper. It has a 2-km. long, palm fringed white sand beach and a freshwater spring. During the World War II, 2 survivors of the known Leyte luck boat enroute to Australia and was lead by Illif Richardson was found by a couple in this island. Casarica Island and Huyamao Island. 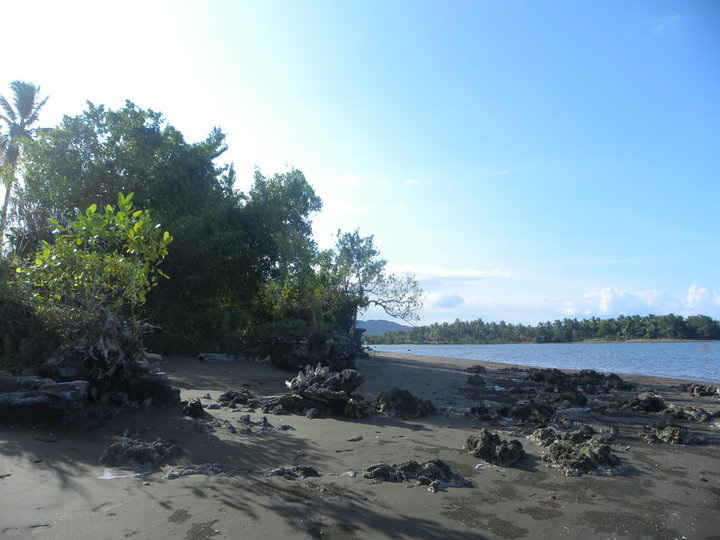 Both islands of Brgy. Consuelo can be reached by a 15-min. boat ride from the town proper and 5 mins. from Consuelo Wharf. Both have white sand beaches, clear waters, underwater rock formations and offshore coral. Some of the victims of 1882 Cholera outbreak in Cantilan were buried in a cave in Casarica island. Enchanted Lake Danao. Located in Sitio Iniyakan. The lake experiences low tide when the Pacific Ocean is having high tide and when there is low tide everywhere. To reach it, follow a mountainside trail and climb a steep 20-m. elevation. The island is a 30-40-min. boat ride from the town proper. 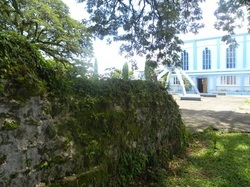 "The construction of the old church in present Cantilan started in 1890's through the supervision of Jesuit Missionaries. It memorializes Capitan Mariano Arreza Falcon, who like the Urbiztondo town leaders and Miguel Orozco then led the construction of the 1856 bamboo and nipa church of Marzo . That old church preceded the first limestone church with iron sheet roofing that was destroyed by a typhoon and later reconstructed." "In a report by Benedictine historian, Fr. Seco. The church was planned and erected by Fr. Paulino Garcia. It had 4 altars for which 2 life-size statues of the Sacred Heart and Saint Joseph were bought, from Manila we suppose. The church has a crucero or a crossvault of a church under the dome made of stone and a vast tower 181 feet high. " 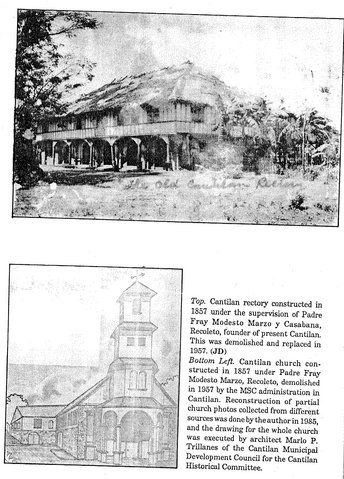 "In 1889, Cantilan's church was reported to be the most beautiful in the entire east coast (of Mindanao). 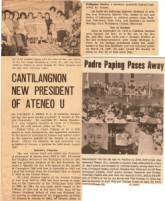 It was among the best in the diocese were Cantilan was under the diocese of Cebu. Joseph Van den Berg demolished this church in 1957. The current church of Cantilan was built through the joint efforts of the towns people under the parish administration of Maalman. " - Excerpts from Cantilans (Missing) Historical Streets By Euly V. Eleazar. 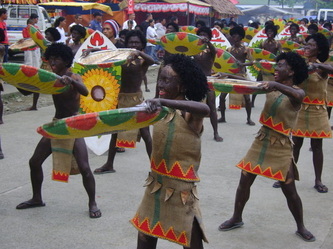 Sirong Festival is an ethnic mardi-gras parade. Although some other Municipalities in the province of Surigao are claiming to have this festival originated from them. As most of this coastal towns are founded during the pre-Spanish occupation and is both claiming the story of being attacked by the moros. 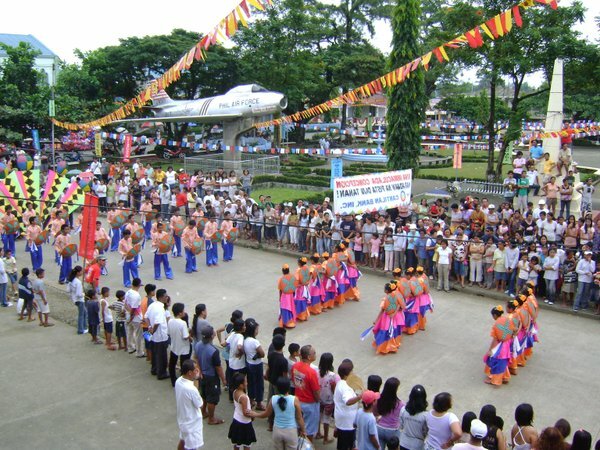 Sirong festival in Cantilan is the popular one than other festivals. 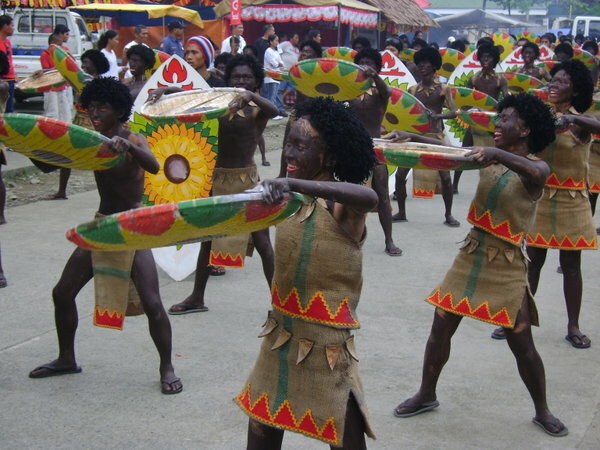 Sirong is known to be a war dance between Muslims and Christians, reflecting the Christianization of the early Cantilangnons. The Manobos and the Mamanwas are known to be the early Cantilangnons. 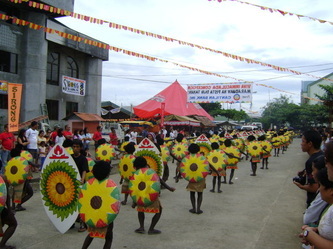 The Municipality of Cantilan started the Sirong festival in 2004 days before the town fiesta. It was attended by other neighboring Municipalities in Surigao. With each contingents numbering to almost a hundred performers. The event was a great success with the winner bringing home cash prizes. On August 14, 2008, Cantilan once again hosted the event with the help from other local organizations such as the BARDUGS Association of Cantilan in full support by the Local Government Unit of Cantilan. As promised by the mayor that this festival will be held annually in this town. Itik-Itik is a mimetic dance that depicts the movements of wading and flying itik (ducks). Dancers mimic the short swaying gait of waddling feet and the intense energy of close-cropped flapping wings. 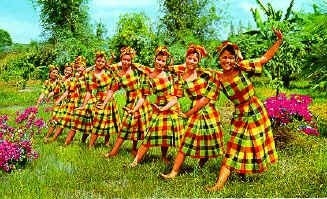 Itik-itik dance believed to originate from one of CarCanMadCarLans town. 1993 Sinulog / Sinuyog Dance Competition performed by different school. The event was sponsored by the Bardugs association of Cantilan. 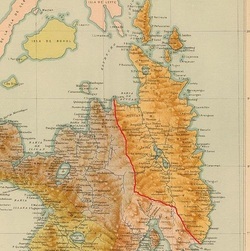 "CANTILAN in 1571-1899". This was the first history book of Cantilan written by Eulogio V. Eleazar and was published in 1980s. 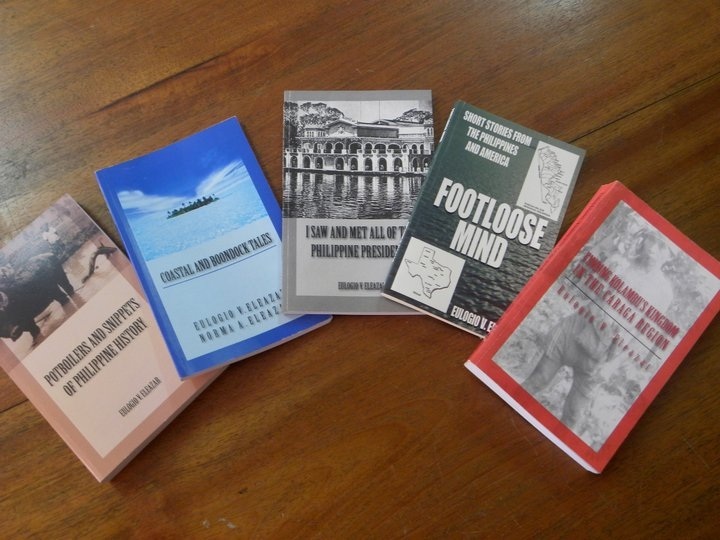 Some Cantilan history books written by Freddie Ong now available at Cantilan Municipal Library. 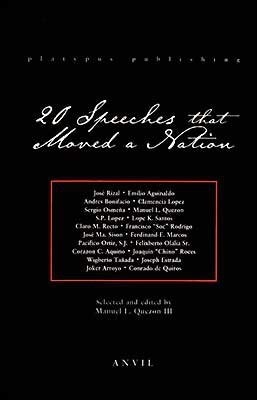 Other books written by Local Historian Euly Vanzuela Eleazar and his wife Norma Eleazar. Also available at Cantilan Municipal Library. 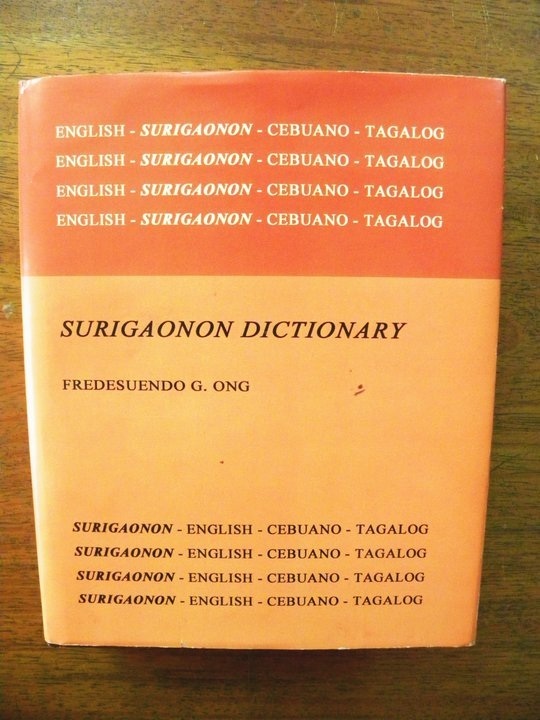 Surigaonon Dictionary by Freddie Ong. This book can be found at the Cantilan Municipal Library. 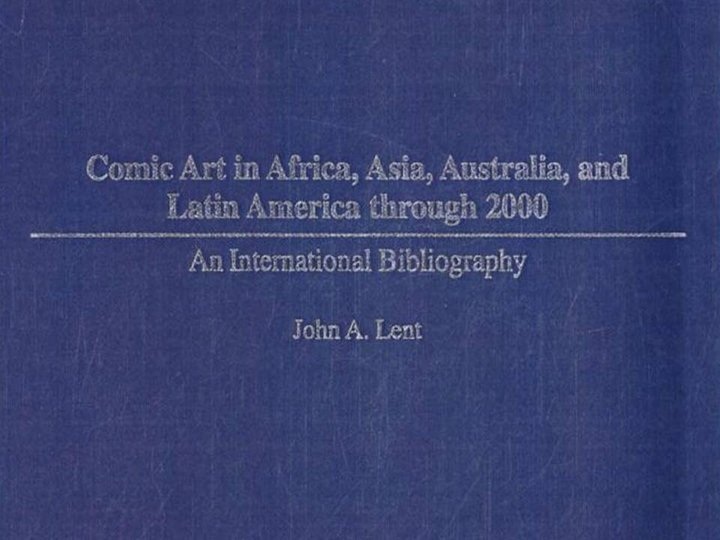 Included in this International bibliography for comic art in Asia is Fritz Arreza Geraldo's "The Laughs GI Left Behind". Published in Graphic Kislap Magazine on February 11, 1959. 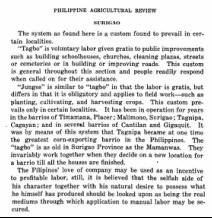 The origin of the "TAGBO" and "JUNGOS". It was documented that Tagbo and Jungos had already started before this report in 1927. If there’s one food that’s close to being endemic to Cantilan, then it would probably be the kinilaw. All those sarsiado putajes - those swimming in sauce that they make a glooping sound when you ladle them on to your plate - are either imports from China, or imitations of Spanish cooking . Kinilaw , on the other hand, is true-blue Cantilangnon cuisine , something which has been handed down through generations, that a kinilaw loving- gene has probably morphed in our DNA. It is a food that intertwines with our cultures, and captures who we are . If you want a gastronomic definition of what a Cantilangnon is , the kinilaw may come close it. For example, if many are wondering why Cantilangnons are so passionate in their defense of the environment, they may find the answer in that dish. You don’t burn fossil fuel or wood to prepare a fish kinilaw . Because it must be prepared fresh, then you need not refrigerate it . Hence, spared of the trip to the icebox, it will not consume a single watt of electricity . No other dish can boast of such green credential. And because of this premium for freshness, then the fish to be “kilaw-ed” must be locally-sourced. Unlike Wagyu beef which must be flown halfway across the world, the kinilaw must jump from the fishpond to the plate, in minutes, not in weeks, in meters, not in miles. It’s preparation likewise leaves a small carbon footprint . You don’t have to burn a forest of wood to cook it, the way lechons are roasted to cardiac perfection . Even the ingredients to accompany the raw fish are locally available . Basic kinilaw can be made out of two ‘S’ – suka and salt. Make it four ‘S’ – by adding ‘sibuyas and sili’ , then its perfect . Add balibajon and luj-a, then welcome to kinilaw Nirvana. You also need no fancy gadgets to prepare it. You just need two. Slice the fish with sundangay, mix the four ‘S’ in a plate, then it’s done. Leave the Oysterizers to the Bobby Flays of this world. In kinilaw, the recipe can be summed up in six words : Have knife and plate , will kilaw . Kinilaw also captures the Cantilangnon traits of dili kun buraho and mahinatagon . In kinilaw , you only prepare what you can eat at the moment . It is not humba that can be hoarded . It is not adobo that can be reheated. It is not a glutton’s food because if you overeat kinilaw your stomach will punish you for your greed. Kinilaw is meant to shared and not be savored in solitude. The man who eats kinilaw alone is probably the loneliest in the world. Kinilaw is Cantilan’s original boodle fight food. It is a communal dish that you share with kith and kin. In fact, the joy in eating kinilaw is not in the tasting but in the sharing. Kinilaw is Cantilan’s party food. You serve it and the feast will automatically follow. It loosens wine bottles ,and tongues too , for serving it heralds drinking and bakak-bakak. It is bonding food that is the predicate for drinking , the premise for singing, and the preamble for drinking. I hope that like our forefathers, kinilaw remains our comfort food in the years ahead . Posted October 11, 2011. Click date to view link.